Please leave a feedback when you download. Thanks. This worksheet has different shapes overlapping with one another. 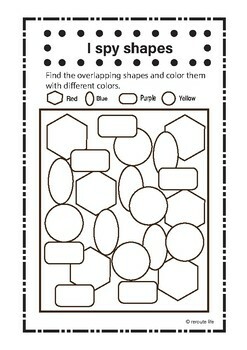 Find the different shapes and color them. This helps in observation skills, Form constancy, figure ground perception skills.